Over Two Years We Ordered Special Cut & Hand Picked Ram Horn Blanks. These Blanks Were Selected For Beautiful Color & a Uniform Pattern With Lots of Bark. We Stabilized Each Pair of Blanks For at Least 24 Hours. Nothing But the Best. Each Model Offered is One of a Kind, Handmade to Our Backstraps by the Best Grip Makers in the U.S. There is Only One Set Per Model. What You See in the Picture is the Pair You Will Get. 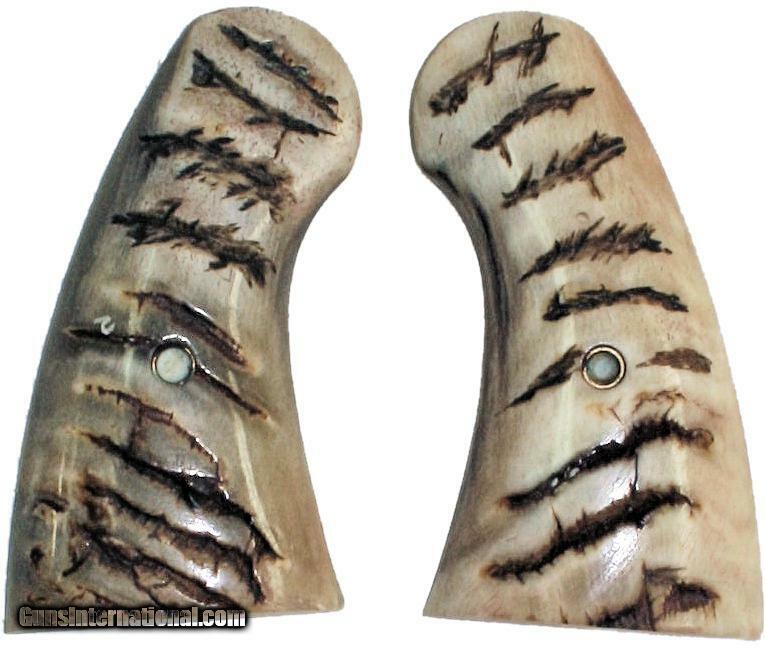 A Once in a Lifetime Opportunity to Own the Best Ram Horn Grips at a Fair Market Price.